Someone smack Robert Plant upside the head. Oh he's told people over & over it'll never happen. I'm surprised people still ask. I'm perfectly fine with it never happening. I prefer to keep the well preserved 1977 concert etched in my brain for all eternity. Unlike The Cure, Led Zep now could never measure up to the old days. They are not as well preserved as our Cure boys. In some ways The Cure get better and better as they get older. Not at all go right ahead! I always appreciate another Zep fan. Happy Birthday to my favorite keyboard man!!! John Paul Jones!! The most killer live version of No Quarter!!! And then there is this killer version!! Legendary rock group Led Zeppelin are to unveil previously unheard tracks recorded with Indian musicians during a visit more than four decades ago. The two tracks - reworked versions of their songs Friends and Four Sticks - are among the songs contained in the band's reissues of three studio albums. The English rock group were known for their pounding, blues-influenced songs and explosive stadium shows. They broke up in 1980 following the death of drummer John Bonham. Led Zeppelin's best-known songs include Stairway to Heaven, Whole Lotta Love, Rock and Roll, Kashmir and Communication Breakdown. The band's website said that singer Robert Plant and guitarist Jimmy Page "took a fabled trip to India to perform with the Bombay Orchestra and now, for the first time, recordings from these sessions will be officially released with dynamic takes on Friends and Four Hands (Four Sticks from Led Zeppelin IV album)". Band members visited India a number of time during 1971-72 during their tours in Asia and "during one of those trips Plant and Page participated in a session with a group of veteran Bollywood session musicians that resulted in reworked versions of Friends and Four Sticks," according to Rezaul H Laskar in the Hindustan Times newspaper. "Led Zeppelin had not officially released any tracks from the Mumbai session till now though several bootlegs have emerged of the recording. In one bootleg, Page can be heard explaining bars and scales to [late Indian flautist] Vijay Raghav Rao, who gamely tries to convey his instructions to the Indian musicians who had clearly never collaborated with rock musicians". The songs will be contained in the reissue of Coda, one of the band's final three studio albums that are being released in July. The other two albums are Presence and In Through The Out Door. All the three albums have been remastered by 71-year-old Page. 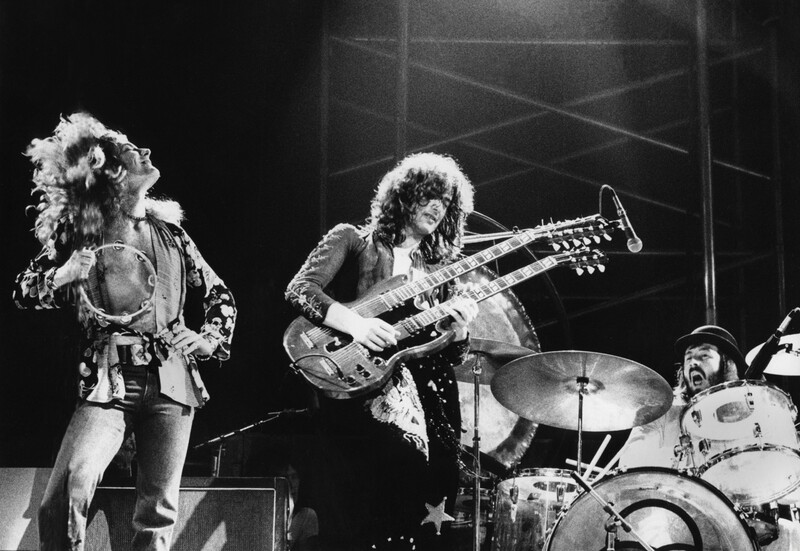 Jimmy Page is on the radio at the moment talking about the latest batch of Zep re-issues. Just look for the Radcilffe & Maconie show on the iplayer & it's about an hour & a half in. I love The Hollies!!! I love Allan Clarke's voice!! Their harmony was awesome!! Good choice Jim!! thanks Steve for the heads up.